1. Preheat oven to 400 degrees. 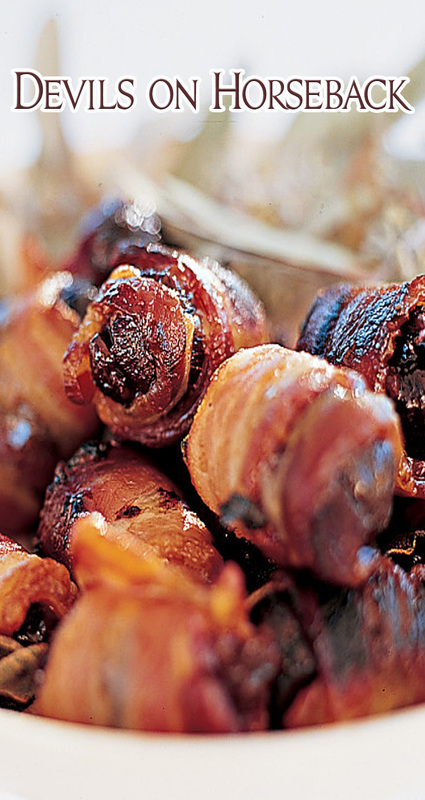 Wrap each fig half in a bacon piece, tucking 1 sage leaf under bacon as you go; secure with a toothpick. Arrange, 1 inch apart, on a rack set in a rimmed baking sheet. 2. Bake until tops are browned and crisp, about 25 minutes. Turn; bake until other sides are browned and crisp, 10 to 15 minutes more. Let cool on a wire rack 5 minutes. Remove toothpicks; serve.